The theme for Cold Wars was “1812, a World at War – Napoleon in Russia, Wellington in Spain and the War of 1812,” but the usual variety of gaming was present from ancients and the black powder era to modern warfare, sci-fi and zombies. 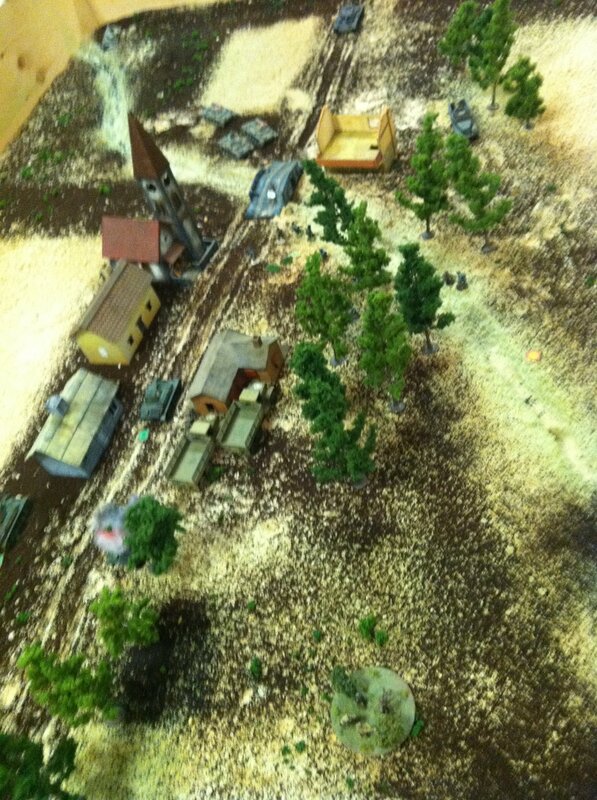 The Metropolitan Wargamers from Brooklyn, NY installed their prize-winning sand table for some highly-stylized and very playable WWII scenarios. The guys from the club arrived in Lancaster, bought the necessary materials at a nearby Home Depot and installed the table for the weekend, sculpting hills, roads and trenches out of sand, coffee and flour. Playing these scenarios really brought back the hours I would spend in the sandbox as a kid with hundreds of cheap green plastic army men. 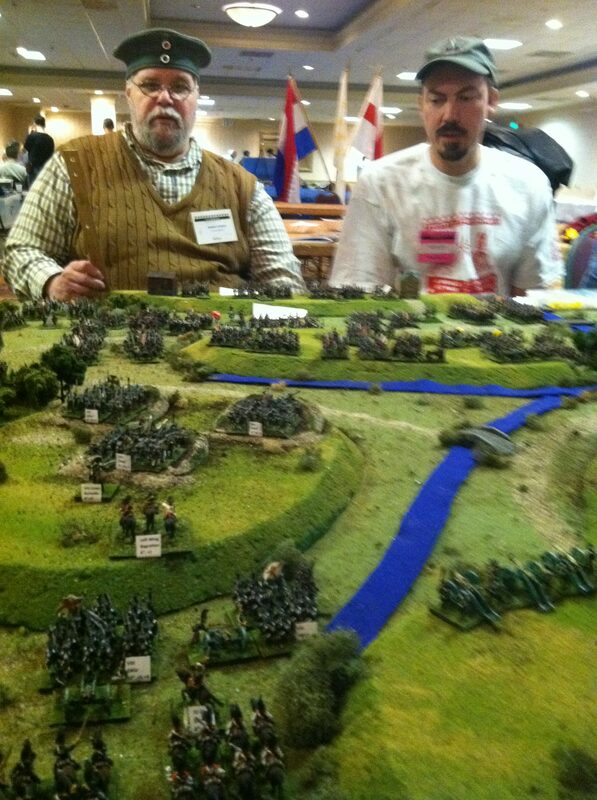 My brother Graydon (above right with another conventioneer) put on a Napoleonic theme game, staging the Battle of Borodino with a set of home-brewed rules he and his pals Jim and Jeff have been perfecting and play-testing over the years. I’m not much into the Napoeonic era, but the game was fun, fast and offered some realistic tactical manuevering within a simple rules system. 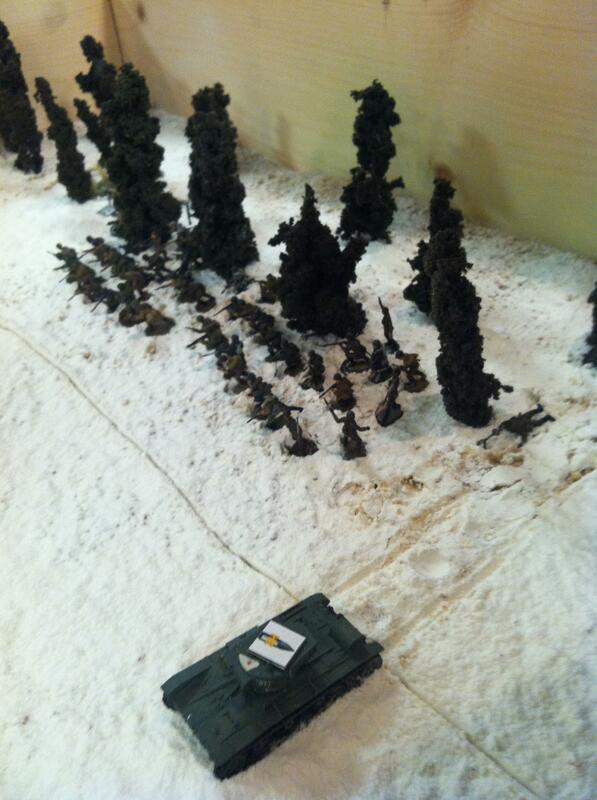 One of my favorite parts of the cons is seeing the creativity people bring to the wide definition of wargaming. I’m a huge fan of 1975’s “Rollerball” starring James Caan as the leader of a bloddy corporate-run deathsport in a dystopian future. 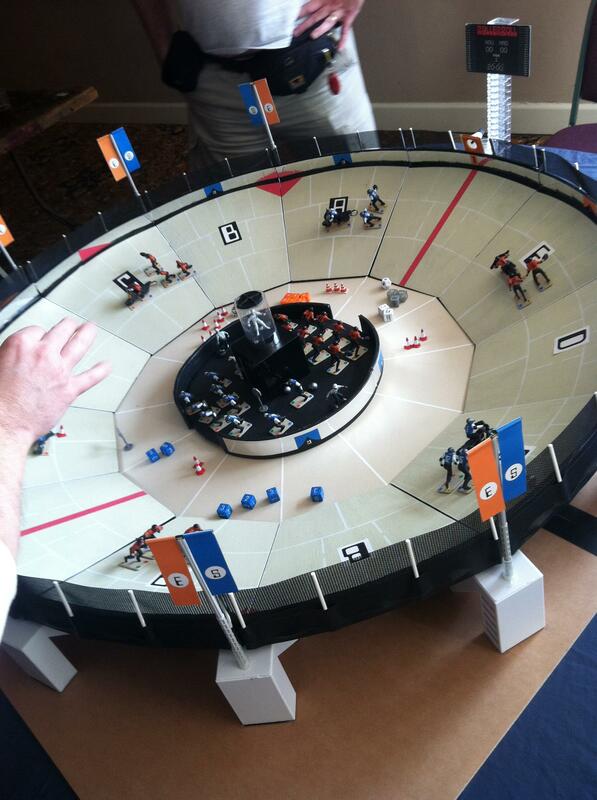 I absolutely loved this homemade rollerball arena, figures and fast-playing rules. 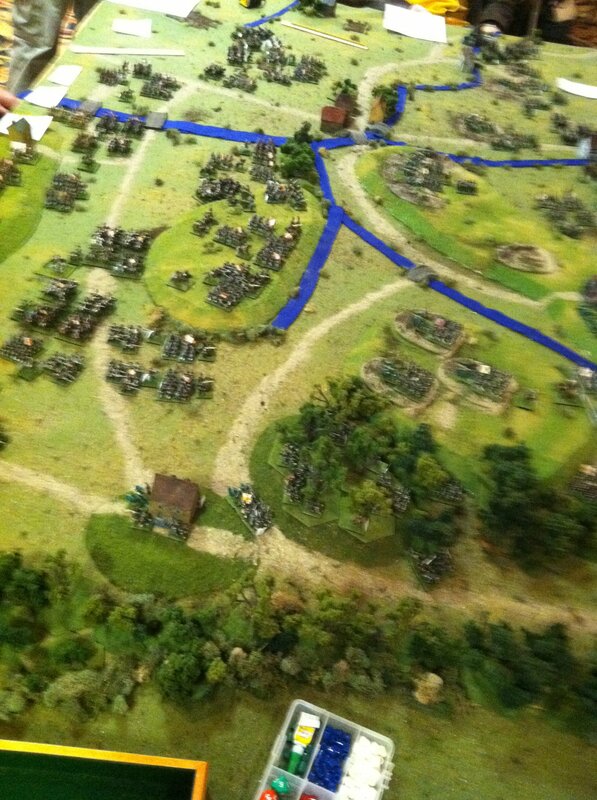 And finally, I blame these guys for getting me back into American Civil War gaming at the 28mm scale. Their games are always spectacular and quick using the Brother Against Brother rules. Their terrain includes rolling hills, scratch-built trees and fields and some incredibly accurate painted figures. This time around, they presented Miller’s Cornfield at the Battle of Antietam in 1862.